Russell Downing takes on the world’s lightest electric bike in the Gadget Show next week. The Channel 5 programme pits the CandiTV rider and his Pinarello against presenter Ortis Delay on the new Cytronex Powered Cannondale Super Six, weighing in at 13.6kg. No competition, we hear you say. Maybe not on the flat, but the show’s producers throw in the legendary climb of Holme Moss to make it interesting. Presenters and their new technology taking on professionals is the theme, with Suzi Perry competing against British indoor climbing champion Natalie Berry and Jason Bradbury visiting Silverstone to race ex-Formula One driver Johnny Herbert. The Gadget Show is on Channel 5 at 8pm on Monday, November 16. Dust down your best bike and oil the chain. Circuit racing is back already with the Imperial winter series at Hillingdon starting on December 5. Over 300 riders registered last year for the all-category events running on Saturdays through to February. Innovations for this season include longer race time for 4th Cats, a separate 3rd Cat championship to ease the transition to higher levels, and a six-round youth series starting January 9. On-line entry is also now available, via RiderHQ, with a saving over on-the-line fees. 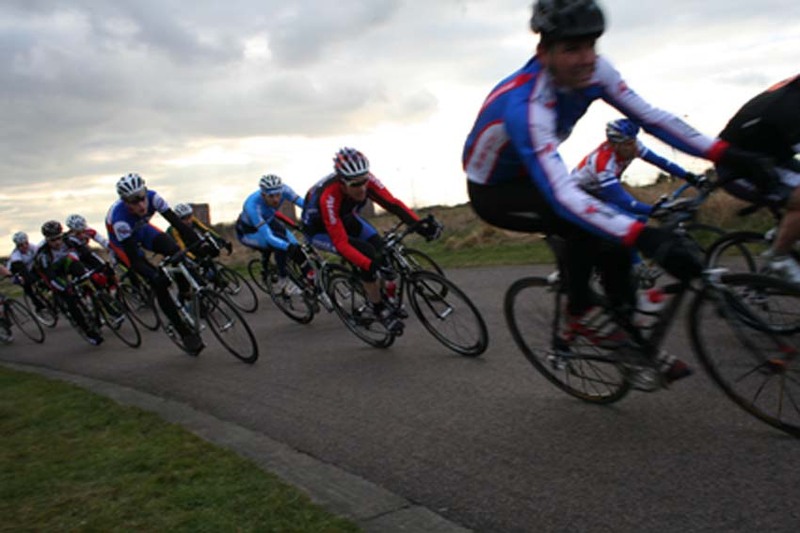 Prime Coaching runs an afternoon session at Hillingdon on Saturday, November 21 for 3rd, 4th and Novice males and females, taking riders through everything they need to know to start circuit racing – highly recommended for newcomers. Overall winner of last year’s series was Sigma Sport’s Jerone Walters from Chris Moores (Norwood Paragon). Orbea-For Goodness Shakes! have unveiled their squad for 2010. New signings include former top junior and 2005 national junior road race bronze medallist Lewis Atkins and ex-Comunidad Valenciana development team rider Marcel Six, both of whom have had their fair share of bad luck in recent years. “Just like Lewis, they showed a lot of potential but maybe they just need another chance to prove what they can do,” he commented. promising junior rider in 2004 and 2005. The core of the team’s structure – the outfit is a reincarnation of the BMC Racing Team – has been retained too, with Andy Lyons staying on team captain and promising youngsters Dan Kogan, Joe Skipper and Steven Griffiths on the books. Whatling was pleased with the 2009 year but recognises the need to step up the team’s performance. 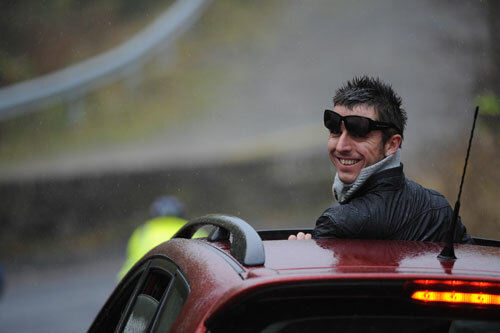 “It’s almost a bit like Garmin in their first year – they had good press, but didn’t perform on the road as well. We need to prove ourselves in the big races, so the pressure’s on a bit,” he said. The Essex-based team will be focusing on the Premier Calendar, Tour Series as well as important local races. Several continental events could also be on the cards.